A new Promising Open Access Journal in HPC/Supercomputing! The recent open-access journal movement is spreading quickly. It is indeed a very good idea to establish journals that are free to the whole community since the community does the research, the writing, and the refereeing while printed journal copies become less and less relevant. 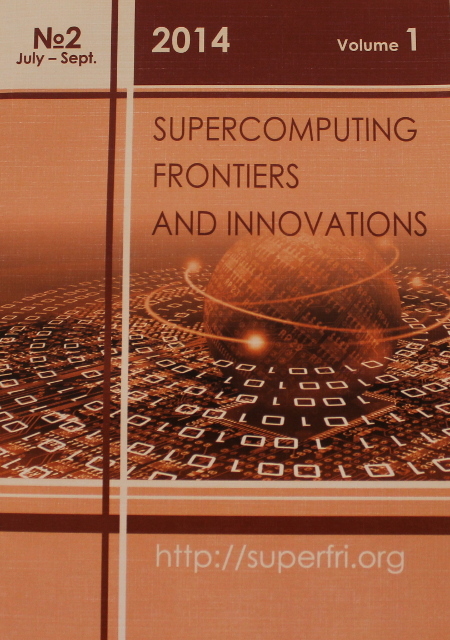 One such journal recently appeared to support the high-performance computing/supercomputing community: “Supercomputing Frontiers and Innovation”. The journal’s leads are Jack Dongarra and Vladimir Voevodin and they are supported by a world-class editorial board (spoiler: I am on the board as well). I published an overview of collective operation algorithms and analytic performance models for time and energy in this journal. It has been generally very pleasant to work with the staff and the open access guarantees quick and wide distribution without paywalls. I read both issues with great interest and found the papers of very high quality. Superfri has a good chance to quickly emerge as a leading journal in high-performance computing. Submissions are open at http://superfri.org/.